As a contractor, your online presence is crucial to attracting the right customers to your company. One of the most essential parts of your online presence is your contracting website. Today, some will tell you that you need to be focusing only on social media. While social media does play an important role in online marketing, remember that your website is one of the most fundamental keys to your online presence. It’s the home base for your company. You store your information there, and you can use it as a platform to showcase your work. It is an asset of your business that you own and easily control. To the success of your online presence, here are five reasons that you may need to redo your Website this year. 1. Your Website Is Outdated. This year, flat design is the most widely received and accepted web design. Think simplified, minimalistic and easy to read. A clean home page with beautiful images, portraying an overall picture of the location of and services offered by the company, usually featured on a flat page where you scroll down for more information. For more specific information and bonus features, you can then click through to the internal pages. Here is one of our most popular website designs for contractors in 2018. Your website is your online reputation. If it’s out of date, people who visit your website may assume your business is out of date as well. If your website doesn’t look current, then you are not positioning yourself well in today’s economy. 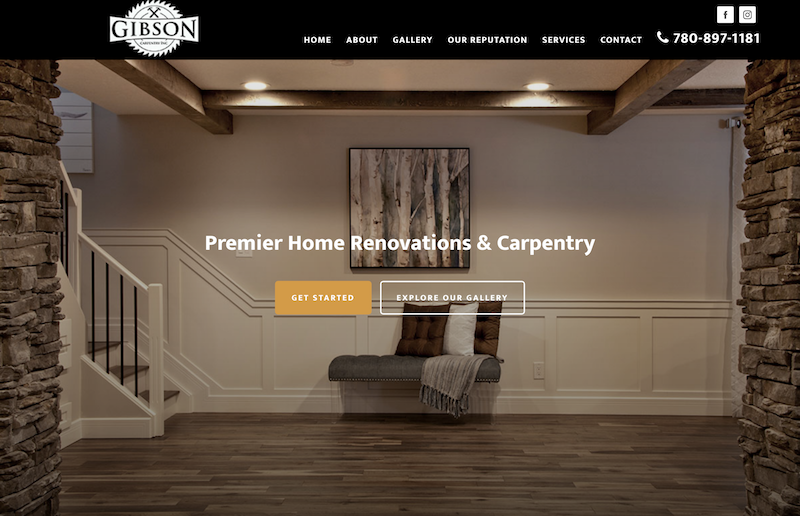 Think of five or ten leading contractors you respect, and take a look at their websites to see how they’re presenting themselves to their ideal customers. Good chance if they’re successful contractors that they’re successful in their online presence as well. If your contracting website was developed before 2012, have someone in the web design industry examine it to see if it is up to par with today’s design standards. If it’s not relevant or designed to meet today’s trends, take the necessary steps to update it. 2. Your Website Is Not Mobile-Responsive. Mobile Internet use has skyrocketed in the past few years. Today, seventy percent of Americans own a smartphone, andmore Google searches are conducted on a mobile device than a desktop computer. Think about instant gratification—that desire to have what you want, exactly when you want it. That’s how your average homeowner is scrolling through the web. If a website is non-responsive on a smartphone, 61% of people surveyed said they would switch to another link. It’s more important than ever that your website be easily accessed and viewed on a mobile device, because your potential clients are searching for their next contracting job on their smartphones. Your website needs to be there when they search for contractors in your area. Websites are made with either a static or responsive design. Static websites, always fill device screens with the same format, regardless of screen size. Usually, viewing a static website on a smartphone means zooming in and out to clearly read information. Not a likely way to keep a potential customer’s attention. A mobile-responsive website, however contains coding written into the website’s design that allows it to expand, contract, or even completely change format depending on the device being used to view it. This makes the transition from a computer to a smartphone seamless—a comfortable user-experience. If you have to pinch-and-zoom to see the content on your site, your website is not mobile-responsive and is not pleasing to the customers who view it. As a contractor, think about your target audience. They have questions for you, and you should present your content in a way that answers their questions quickly and successfully from a mobile device. 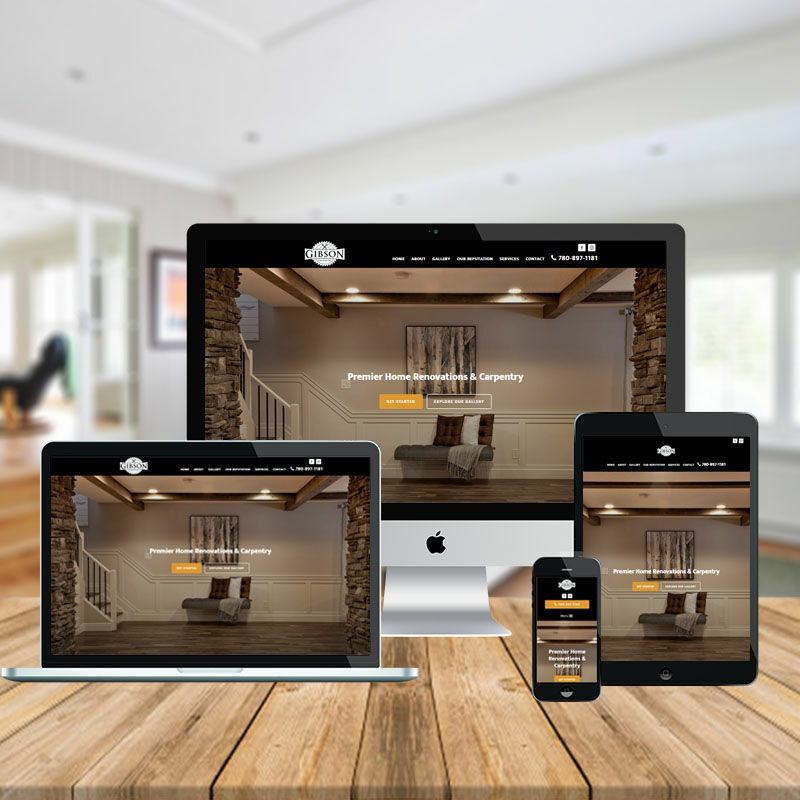 If you haven’t already, update your contractor website right away so that it is easily viewed and experienced on a mobile device. You can do this by purchasing a template or hiring a web developer. The purpose of this is not just to have a sweet looking website, but because you need to be able to keep your potential customer’s attention by giving them helpful content in an easy-to-view manner. Back in the day, it was trendy to animate text and have clip art flying across the screen when your website was opened. But unfortunately, it’s not cool anymore; it’s very distracting. People want to land on your site and find exactly what they’re looking for. Online users, especially millennial homeowners, don’t want anything moving, popping, bleeping, or singing to them; these things could distract them from their goal. You definitely don’t want that to happen when you’re trying to make an impression and build trust in a potential customer’s mind. Simplify your website design down to the basics; it should be easy-to-look at, and your potential customers’ eyes should be drawn immediately to the crucial information they need. 4. Your Website Is Too Slow. If your Website is slow, people will be upset. They’re not going to wait around for all the media to load in your website. In fact, 40% of people abandon a website that takes more than 3 seconds to load. Your website should be your “lean, mean marketing machine.” When your website is pulled up online, people need to find the information that they’re looking for quickly. If people can find the information that they’re looking for without significant delay, they’ll like you, and they will come back to look you up again. 5. It’s Difficult to Make Changes to Your Website. I’ve had quite a few contractors come to me complaining about their current website provider, simply because they find it so difficult to get even small changes made to their website. It’s important for you to be able to update your website content regularly. Relevant, helpful content creation is one of the top ways to please your customers, as well as rank higher in Google’s SEO. Being unable to post content to increase your business is a paralyzing place to be as a business owner. If you find it too hard to change, or to get changes made to your website, then this is the year to fix it. Do some research; learn how to easily update your website yourself by taking online classes, reading articles, or just trial and error. My book Contractor Marketing Simplified goes into detail about how to do this. Or you could hire a comprehensive website provider who will work with you and on your timeline to keep your website updated and productive. I recommend you go with a company that specializes in helping the contractor industry. Make this year the best year yet for building your online presence. If your website needs changes in any of these areas, make them. This will be beneficial to you not just this year, but in the future as well, as your website continues to draw potential clients to your company.